Kids all over the world love to play. They like to go out on their own to parks – to run, bicycle or skateboard. Sometimes they fall. In most cases they get up on their own and start playing again. Sometimes they may be hurt seriously, be unconscious, or are unable to walk. 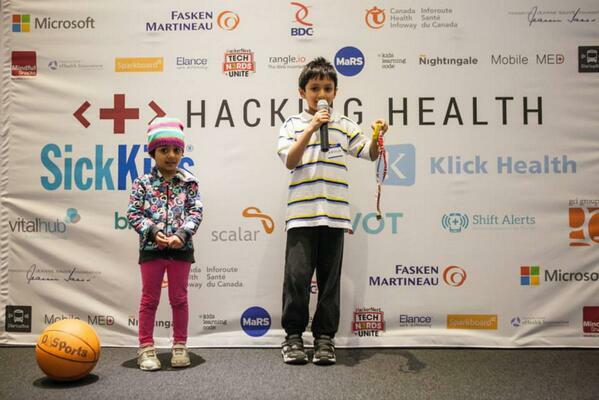 Rainbow Necklace presented at HackingHealth Toronto comes to action. Low Cost Rainbow Necklace (For Kids, By Kids) to allow them play safely. Rainbow Necklace, a part of our Rainbows Rings and Bracelets products, measures the acceleration of the fall and if the child is moving normally after the fall. It is able to determine if the fall was involuntary and serious, and if the child needs help. It analyses the acceleration and movement data and sends a message over wireless to the parents that the child may need attention. Help is on the way! 1. Rainbow prototype cost less than 15 dollars. With mass production, we can bring the cost to less than 4 dollars. 2. It does not need a mobile phone signal or even a phone. It can be used at any place on earth. 3. Even kids can make it: By kids, for kids. Accelerometer, Arduino Mini, 433MHz Chip, Simplified C and Python program. Previous Post Love Robots? 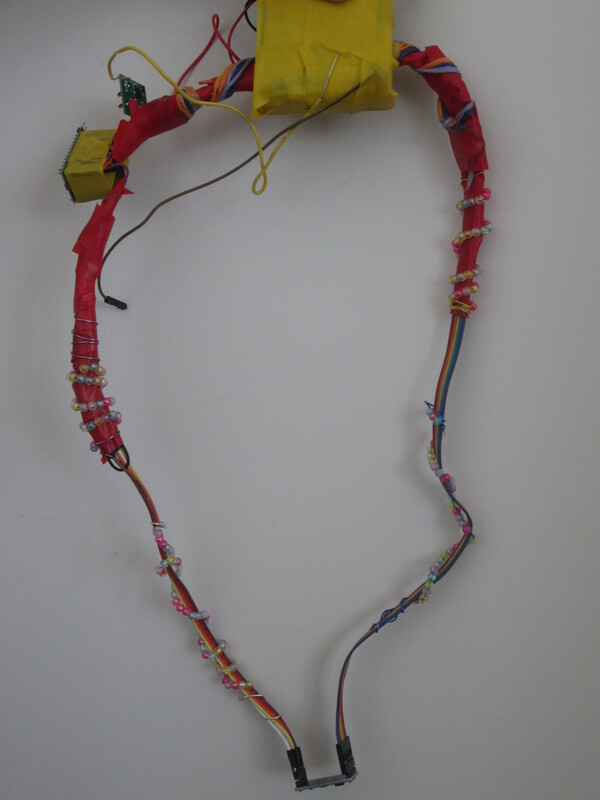 Free Session on Arduino Programming + Motors. 22nd June. Toronto.